James L. Burchfiel, Ph.D. is Professor of Neurology at the University of Rochester, New York. Director of the Strong Epilepsy Center 2000-2006 and Co-Director 1989-2000. His clinical interest is in the neurophysiology of epilepsy and other neurological disorders. His research interest is in the development of epilepsy in neonatal animal models. Dr. Burchfiel received both his undergraduate (with honors) and graduate education at Stanford University. After serving for 2 years as a Captain in the US Army, working in the research laboratories of Edgewood Arsenal, Maryland, he joined the faculty of the Seizure Unit, Department of Neurology, Children's Hospital, Boston and the Harvard Medical School. There, he completed fellowship training in clinical neurophysiology and served as an attending clinical neurophysiologist. In addition, he conducted independent NIH-sponsored basic research in epilepsy. In 1989, Dr. Burchfiel, with his long-time colleague Dr. Giuseppe Erba, moved to the University of Rochester to found the Strong Epilepsy Center. Dr. Burchfiel served as Co-Director with Dr. Erba until 2000 and was Director from 2000 to 2006. Dr. Burchfiel has published over 50 peer-reviewed articles and reviews and continues to have an active interest in both basic and clinical research in epilepsy. Most recently, he has been working with basic researchers in the Department of Developmental Epileptology, Academy of Sciences of the Czech Republic. 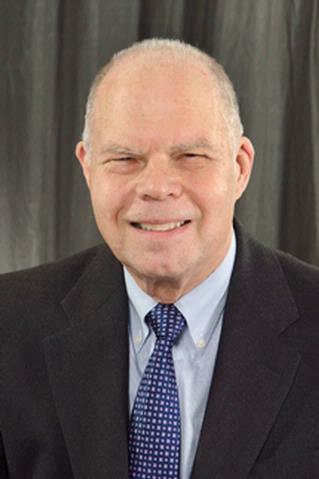 He is an active member of the Eastern Association of Electroencephalographers, the American Clinical Neurophysiology Society and the American Epilepsy Society and has held offices and served on committees and boards for these organizations. In addition, he is a past member of an NIH grant review study section. Kubová H, Folbergrová J, Rejchrtová J, Tsenov G, Pa?ízková M, Burchfiel J, Mikulecká A, Mareš P. "The Free Radical Scavenger N-Tert-Butyl-?-Phenylnitrone (PBN) Administered to Immature Rats During Status Epilepticus Alters Neurogenesis and Has Variable Effects, Both Beneficial and Detrimental, on Long-Term Outcomes." Frontiers in cellular neuroscience.. 2018 12:266. Epub 2018 Aug 28. Selioutski O, Seltzer LE, Burchfiel J, Paciorkowski AR, Erba G. "Characteristic Features of the Interictal EEG Background in 2 Patients With Malignant Migrating Partial Epilepsy in Infancy." Journal of clinical neurophysiology : official publication of the American Electroencephalographic Society.. 2015 Aug 0; 32(4):e23-9.